Building a successful referral program for your Spa or Salon is a great way to drive more customers through your door. In fact, it’s one of the most effective ways there is in the health and beauty field. Referred customers are also proven better customers—they spend more and remain loyal over longer periods of time. Hand out a survey to first-time customers that is fun and personal while asking for their contact information, birthday, and other important dates. Having a database of that information helps your business advertise your promotions, keep in touch with your customers, and give them the personalized attention it takes to let them know you care. Entice customers to refer your business with discounts, coupons, and free products. Talk to some of your trusted regulars and ask them what would motivate them to refer your business. Better yet, tailor your gifts to your customers and watch as new customers come looking for personalized gifts of their own. 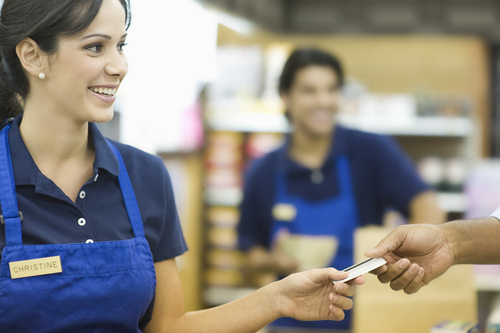 Loyalty programs are another great way to build relationships with your customers. Offering a free service after a specified amount of visits will help turn walk-ins into regulars. You can go with a traditional punch card program or a new high-tech app. Either way, you’ll be increasing your customer retention rate for a minimal cost. Keep track of your referrals. There are plenty of programs out there for referrals, like Referral Candy, Ambassador, and InviteBox. Being able to track the success and challenges of your referral program will help you to optimize the process and keep you motivated. If you’re having trouble capturing more referrals, consider investing in some help. Now that you’ve created a database of customers and are reaching out to them regularly, engage with them on social media. Remind them about upcoming deals and discounts as well as highlighting exemplary service that you’ve provided to other. Keeping your salon or spa at the top of their minds means they are more likely to recommend your business to others.